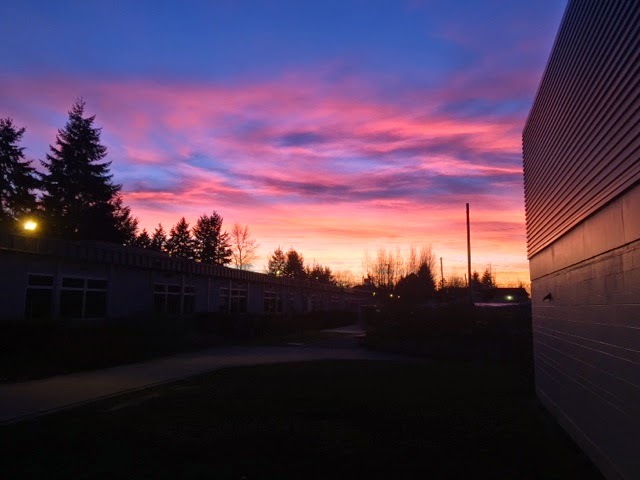 As the sun set on the penultimate day of build season, we saw a beautiful sight. Lit up by the pale orange hues of the setting sum was a robot, and in that robot were not one, not two, not even three, but four totes moving up and down moving up and down smoothly and loudly. The elevator fix worked, but the main piece that fixed it was not the use of 80/20 and rollers, it was the realization that only one of our talons were lit up. We had only been using one of our CIMs to drive the elevator for the past few days. With that quick fix, the elevator was finally able to move up and down with multiple totes without tripping the circuit breaker or simply failing. The rest of the teams worked on odd jobs, the bill of materials is now complete, as are failure analyses for each system detailing what to do if and when specific parts go wrong. 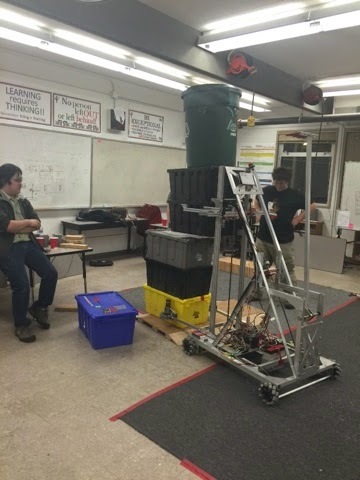 As we prepare for the final day of this build season (the final build season day ever for the many on our team who are seniors), we look towards our first competition as we prepare autonomous routines and will be preparing a robot reveal video. Until then, here is a video of this beast in action.